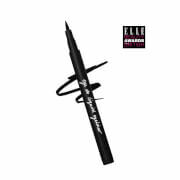 Sculpt, shape and define your eyebrows with Eyeko Brow Liner, a water-resistant liquid brow liner that works to shape and fill your brows for a naturally fuller, perfected appearance. 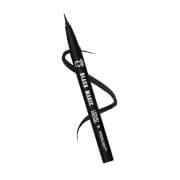 Easy to apply, the brow liner combines a precision brush tip with a specially formulated fluid that's designed to blend seamlessly with your natural brow colour. 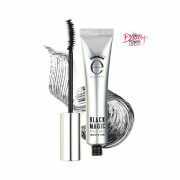 Its buildable formula can be applied in light feather strokes to fill in sparse areas of the brows whilst enhancing or boosting their natural shape. Brows are sculpted and defined with a natural-looking finish. LIGHT TO MEDIUM: Aqua (Water), Acrylates Copolymer, Butylene Glycol, 1,2-Hexanediol, Phenoxyethanol, Camellia Sinensis Leaf Extract, Artemisia Princeps Extract, Chamaecyparis Obtusa Water, Citrus Junos Fruit Extract, Lactobacillus Ferment, Lysine, Pentylene Glycol, Scutellaria Baicalensis Root Extract, Caprylyl Glycol, Beheneth-30, Sodium Metabisulfite, Tetrasodium Glutamate Diacetate. MAY CONTAIN: CI 19140 (Yellow 5), CI 17200 (Red 33), CI 42090 (Blue 1). MEDIUM TO DARK: Aqua (Water), Acrylates Copolymer, Butylene Glycol, 1,2-Hexanediol, Phenoxyethanol, Caprylyl Glycol, Beheneth-30, Camellia Sinensis Leaf Extract, Artemisia Princeps Extract, Chamaecyparis Obtusa Water, Citrus Junos Fruit Extract, Lactobacillus Ferment, Lysine, Pentylene Glycol, Scutellaria Baicalensis Root Extract, Sodium Metabisulfite, Tetrasodium Glutamate Diacetate. MAY CONTAIN: CI 19140 (Yellow 5), CI 17200 (Red 33), CI 42090 (Blue 1). Amazed at how good this product works for me. The brush tip helps me draw my winged eyeliner on point. Will buy this again as soon as I run out. Very pleased with this brow liner!100% recommend!